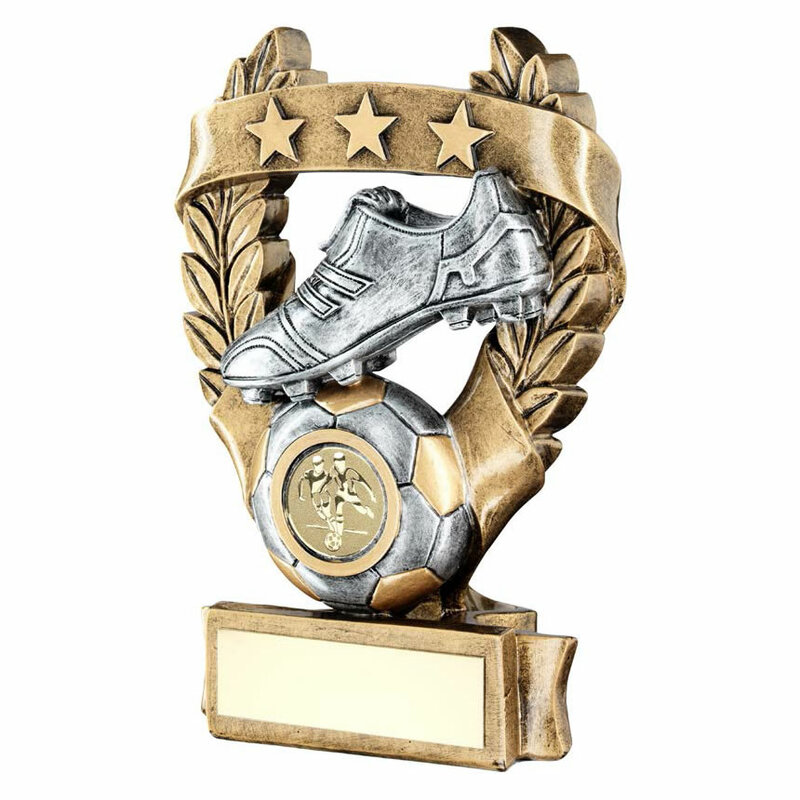 Versatile football trophy offered in three sizes and suitable for both team or individual awards, and for both male and female winners. Crafted in durable resin with a gold and silver colour finish, they comprise a silver football boot on top of a ball with a 1in centre, set within a laurel wreath garland and with a ribbon containing three gold stars. The piece includes a base with engraving plaque, and these resin football trophies are offered with text and/or logo engraving options.